The upper picture shows you a little outcut of the possibilities with Zero Waste. If you like those aesthetic materials, just read on! In the subsequent text I give an introduction about the thoughts and principles of Zero Waste. 1. What is zero Waste? 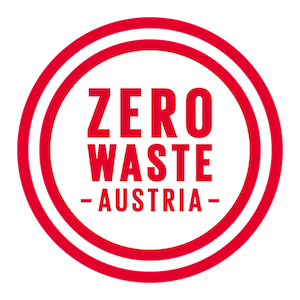 Zero Waste aims to avoid the production of waste in general. People who do Zero Waste, want to get around the waste of resources and use high quality, long living and biological degradable products. In my interpretation, everybody can reduce his waste and consume consciously, even if a 100% of Zero Waste seems difficult. Even if it seems to be difficult in the beginning: It is possible to reduce your garbage so that you don’t need these anymore. Just start! It is way easier than you think, if you take defined steps towards Zero Waste. In the last few years, our industrialized world made huge technological progresses. More people live on earth, the GDP grows steadily and economic experts tell us about infinite growth. Obviously our waste grows, too. However, in Europe, where people produced more and more waste in the past times, the produced amount of waste has sunk slightly over the last few years: In the EU-28-average we developed from 504 kg of waste (2010) per person and year to 476 kg (2015). I believe we can do much more to drop lower this number. “No matter, they separate and recycle all the waste anyway!”, people often tell me, when I talk about Zero Waste. It’s an interesting good question: Why should you reduce your waste? Regardless, which kind of waste you produce: It all needs resources. Waste has once been produced, packed, transported, sent by post and sold. Behind all these processes there is an enormous use of electric energy, carbon dioxide, natural resources and water. With Zero Waste you break through this circle of resource waste. You disclaim everyday waste like plastic packaging and you curtail the production of rarely incurring waste like clothes, furniture, etc. With new habits, you save resources and help the environment simply, effective and aesthetic. A lot of people I told about Zero Waste, said:”Well, nice that you do this. But I can’t implement that.” I don’t say that for you it is as easy as for anyone else. Maybe the bulk stores in your area are far away from your home. Maybe you are busy with your job or your children. I think it is the best to simply start the concept than to think about whether it is possible or impossible. You can even have an impact if you turn one proposal into reality today. That’s worth it! On Zero Waste at your home you find further information and a planned 30-day-project (content follows) for Your simple and effective realization of Zero Waste! because often we can’t avoid it. Well, in english it’s not a rhyme, but I think the sense is clear: It is all about recycling. This song suggests the children that waste is a necessity and separating it for the recycling the solution. Well, Zero Waste shows you a wider sight on the right handling of waste. Here I show you the 5 steps model from Bea Johnson, a great Zero Waster who has written her own book about Zero Waste Lifestyle. Unlike the song which focuses purely on recycling and separation of waste, Zero Waste starts with refuse. Firstly, you try to refuse waste. The things you can’t refuse: Reduce it! And so on. In my texts about Zero Waste at your home, all these steps are mentioned. Always remember the order of the 5 steps. That’s why I took this song as an example. In the song text it sounds like it isn’t possible to reduce waste. In fact, there are many possibilities! If you are already curious about your start with Zero Waste, continue with Zero Waste at your home! Johnson, Bea (2013). Zero Waste Home.